Whether your assignment takes you on a wildlife journey, to a sports event or into the studio, the E-M1X has professional features which cater to any shooting style – every time. Perfectly meeting the needs of true professionals, the E-M1X delivers the absolute confidence every photographer comes to expect – with better control, ergonomics and stability throughout the shoot. The advanced system of innovative technology and features has been engineered to take the game a level higher. Giving you everything you need in one, the E-M1X has an integrated vertical grip. As the design is the same on both the vertical and horizontal grip, the photographer enjoys the same intuitive hand movements in both portrait and landscape format shooting. With two battery units, it’s ideal for long-time assignments. 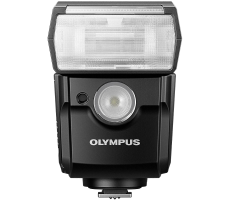 The engineers at Olympus have taken IS yet another step forward to introduce the redeveloped gyro sensor. It delivers the precision that the E-M1X demands, with results unseen with other cameras. 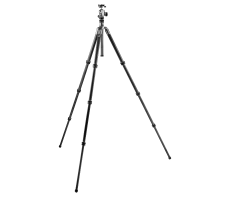 This advanced technology makes up to 7.5 shutter speed steps of compensation possible to eliminate the need for a tripod and enable free-hand shooting. Thanks to renowned OM-D weather sealing in the E-M1X, professional photographers can take on any scene – in the rain, snow and sand – without a worry. 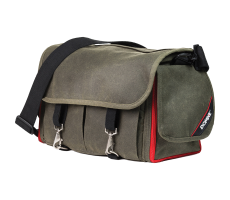 Now also with additional sealing for the SD card slot and all other covers, as well as for the remote cable, microphone and headphone terminals. 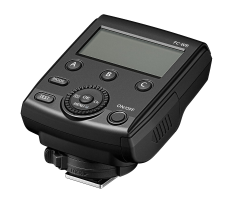 The specially designed height, shape and characteristics of each individual button and dial means you can easily feel the ones you need and fully concentrate on shooting through the viewfinder. 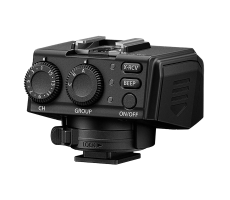 The button layout and handling have both been enhanced to offer better ergonomics, which is especially convenient during long periods of shooting. The best in class has now become even better. The enhanced SSWF provides a higher level of reliability when you change lenses. Dirt and dust have even less a chance of ruining photos and equipment. After being put through stringent tests, the shutter curtain on the E-M1X has shown to provide a top-class operation life of 400,000 actuations. 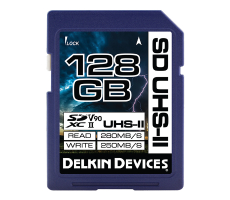 With two UHS-II slots, you can always be sure that the camera delivers the same performance even when one card is full. Professionals can save shots on both cards and always have a back-up, so a photo never goes lost. 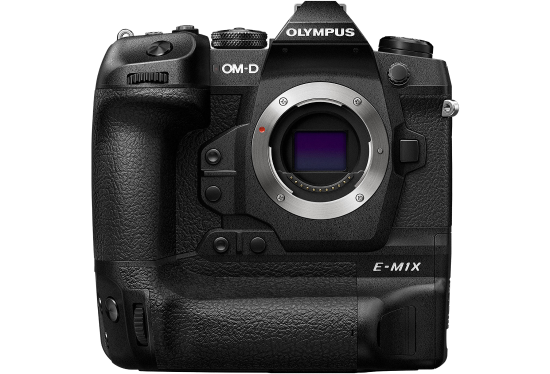 The E-M1X is the first Olympus camera to support USB power delivery of up to 100 Watts. This makes you independent of the power supply wherever you may be and have the option of charging the batteries using a powerbank. With double battery support, two batteries can be fully charged in-camera simultaneously in just two hours. The duo battery power gives photographers the chance to shoot up to 2,580 images before having to recharge, which is ideal for long photo shoots and remote-location assignments. The OM-D autofocus (AF) system has been completely re-engineered for the E-M1X. From additional focal points for different scenes to a new focus algorithm, the AF lets the photographer concentrate on the composition. Ideal for racing events, air shows and trainspotting, this function detects specific subjects for pinpoint focusing and tracking. It does the work of autofocusing so that you can concentrate on the composition. With down to –6 EV steps, this function takes the worry out of shooting in low light. The sensitive AF performs high-precision focusing also in dark scenes. 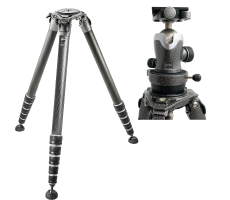 Located on both grips, this intuitive joystick makes switching AF areas during sequential shooting and movie recording fast and easy, especially while shooting through the viewfinder. The grid is ideal for clearly capturing small subjects in any scene. With Small AF, fine pinpoint focusing is easy in macro photography. This AF mode was designed with sports in mind where there is a group of people and the aim is to get a medium-sized area into focus while the subject is moving. For larger moving subjects or sports, or events of all kinds as well, this AF mode puts the focus on an enlarged area of 9 points. Customisable for any subject or scene, this AF Target mode also includes 25-point focusing, for when 121 points is too wide. - The most points of autofocus possible let the photographer capture quick shots, especially for when a group of subjects is moving across the entire scene. Customise a menu of your most frequently used settings – up to 35 – and always have them ready at hand without the hassle. The GUI has been specially designed together with professional photographers. 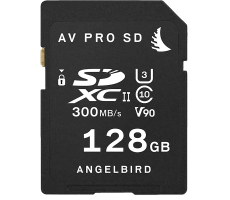 Developed precisely for action photography, Pro Capture starts recording frames – up to 35 in the full-resolution RAW format – before the shutter button is pressed down completely. 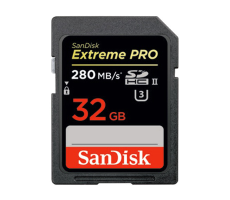 This enables the photographer to catch the exact moment with high image quality. 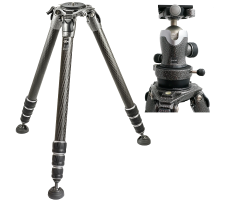 Designed for photographers who don’t want to be limited by using a tripod, or whose assignments take them to places where a tripod is not permitted, this function generates a single high-resolution shot equal to that captured with a 50M sensor – without any signs of blur caused by handshake. In Live ND, photographers can get slow shutter effects without the need for an expensive external filter. The scene can be reviewed in the viewfinder and the effect edited before you ever shoot the photo. Particularly ideal for photographers who need shooting information for efficient image management, the E-M1X has a built-in system that records your location, time, altitude and direction. Benefit from the effects of tethering – without being tethered. Wi-Fi lets you transfer photos from the E-M1X to the computer without the use of cables. 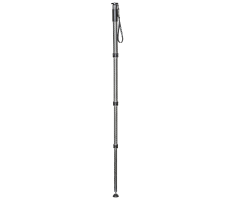 This gives photographers more shooting freedom, particularly in the studio. In addition to professional-quality photos, the E-M1X is a master at movie-making. It features all the extras videographers need to capture moments as they happen. 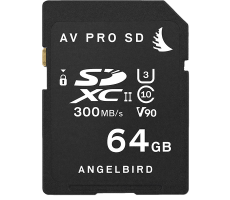 With the ultra-high C4K (4096 x 2160) movie format, videographers not only have the highest recording resolution to date, but also more flexibility when it comes to post-production. Moving images require a flexible IS system which adjusts the compensation in harmony with how you pan the camera. The E-M1X is the world’s first camera to offer this flexibility to the videographer – at a quality level that no one else on the market can provide. The E-M1X is fully sealed against rainy weather, freezing temperatures and dusty air. Thanks to additional sealing for the remote cable, microphone and headphone terminals, the need for a bothersome rain cover is eliminated. To counteract changing lighting conditions typical during documentary and nature shooting, the E-M1X enables log shooting. OM400-log delivers movies without loss of details in shadows or highlight blowouts, and greater freedom over video creativity through colour grading. Available for Full HD recording, this function provides more cinematic movies with a slow-motion perception. Movements made by the subject can be suspended to add dynamics to the film.